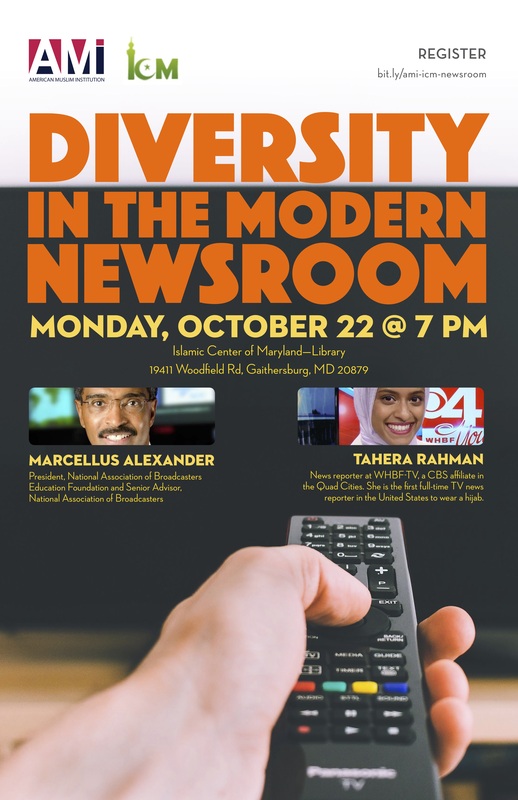 On October 22, the president of National Association of Broadcasters Education Foundation, Marcellus Alexander and the first full-time TV news reporter in the US to wear a hijab, Tahera Rahman, and Laila Alawa, the Founder and CEO of The Tempest, and was named to Forbes 30 Under 30, discussed different strategies in order to encourage media diversity. They were hosted by the Islamic Center of Maryland. 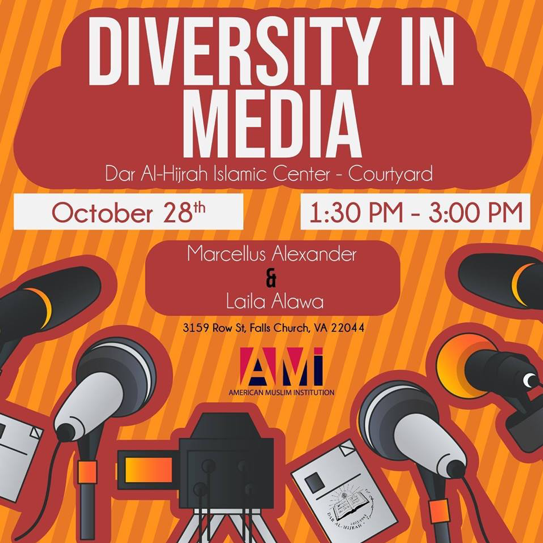 A similar program was hosted On October 28, 2018 at Darul Hijrah In Falls Church. © 2015 American Muslim Institution. A non-profit 501(c)(3) organization. All rights reserved.